Looking for a brighter smile? Alpha Dental Centre can help! The appearance of your smile is the first impression given to new acquaintances and is often associated with oral health. As people age, teeth become naturally darker and can be worsened as pigmented foods and drinks are consumed. Alpha Dental Centre enhance the appearances of patients’ smile through topical teeth whitening treatments and porcelain veneers. If you are looking for a brighter smile, contact Dr. Majstorovic today to schedule your exam and consultation for teeth whitening in Kelowna. 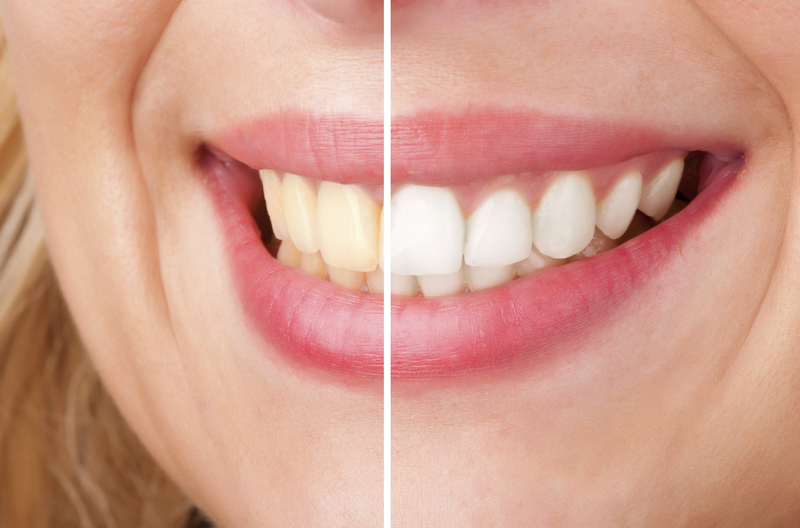 Home-use whitening trays allow patients to correct discoloration caused by the natural yellowing, as well as food staining, without spending too much time in the dental chair. During your appointment with Dr. Majstorovic, he will take detailed impressions of your teeth, which are then used to fabricate comfortable trays. Once your trays have been made and you’ve taken your treatment kit home, apply bleaching gel into the trays and fit them over your teeth for a brighter smile. Take home trays allow patients to whiten their smile on their own schedule while performing domestic chores, or errands. With custom whitening trays, patients don’t have to worry about the sensitivity of concentrated in-office treatments. In an effort to provide patients with smiles that are not only healthy but beautiful, Alpha Dental Centre offers no-cost whitening touch-ups. Whitening gel refills are provided to all patients who make their regular exam and cleaning appointments with our office, ensuring their teeth look and feel as healthy as possible. Some patients with extensively stained teeth, or those whose teeth are discolored from medication and over fluoridation, do not see desired results whitening teeth through topical treatment. For these patients, Dr. Majstorovic offers porcelain veneers. These thin, yet durable porcelain shells are adhered to the teeth to create a bright, balanced smile that can last for years with proper hygienic care. Our Kelowna veneers are applied to teeth after they have been shaped by Dr. Majstorovic to create a natural appearance. Veneers are not only lasting but are resistant to staining, ensuring cosmetic appeal over time. Whether you have discolored teeth from medication, or are looking to lift coffee stains on teeth, contact our dentist at Alpha Dental Centre today. Dr. Majstorovic provides cosmetic treatment for patients throughout Kelowna and our neighboring communities.